The perfect activity pack for those who are still a little bit afraid of the dark. 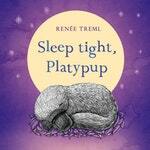 Use your imagination to picture what Platypup would see at night, what Platypup might be dreaming about, test your knowledge in matching Australian baby animal names, identify sounds in the night, and learn how to draw a Platypup! Click here to download your free activity pack.